We at Pop's offer the best of the best when it comes to teachers in Jackson. Lessons are typically one-on-one and 30 minutes each. There are no signing or registration fees, making the lesson process as easy as possible. Whether you need a few lessons or hundreds, we will get you going. Working together the Pop's teachers offer group programs and smaller ensembles where the students can meet other students creating music and bonding. We offer 2 large scale recitals and other performances scheduled annually to complete the musical experience everyone should have. Give us a call today @ 731-660-9995 for available times and pricing. Originally from White House, TN Anna is a decorated singer. In high school Anna was chosen for All-State Choirs every year as well as the ACDA Honor Choir. 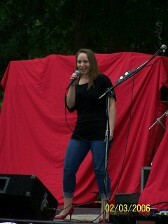 Anna recorded a Christian album her senior year and toured as an independent artist. After high school Anna made her way to Union University where she performed in Choral Union, University Singers, and Proclamation. During her time at Union, she was also a studio singer for the Lifeway Corporation. Anna received her degree in education and was chosen as student teacher of 2011. Brian has been teaching instrumental music for over 10 years. He received his bachelor's in Music Education from Bowling Green State University and his master's in Clarinet Performance from Ohio University. Brian performs locally with several ensembles, including the Jackson Symphonic Winds and occasionally for the Jackson Symphony Orchestra. Currently Brian is the Director of Bands for Trinity Christian Academy. 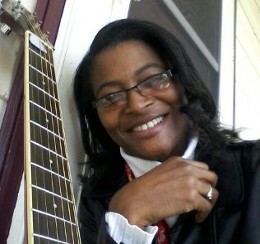 Cher D. Bond is an inspirational Artist from Mercer, Tennessee. Cher is a self-taught musician, songwriter, composer, and producer. Cher’s musical skills consist of the bass guitar, lead guitar, drums, and keyboard. Cher developed an interest in becoming a guitarist at the age of five. Cher improved her musical skills by practicing for hours. For example, Cher would practice before she went to bed, while waiting on the school bus, and after coming home from school. Eventually, she had the ability to play most of the songs sang at home and at church. The founder of the church Cher attended wanted to add other instruments to the music department. This, in turn, became a great opportunity for her and others to become exposed to various instruments such as the bass guitar, keyboard, and drums. Cher was determined to learn how to play each instrument. At the age of fourteen, Cher began playing guitar for the Bond Family. This brought about a lot of exposure to her musical talent. The church choir director took notice of Cher’s talent and appointed her as the musician for the youth choir. From there, Cher was selected to be the lead guitar player for the Senior Adult Choir and in time was placed over the Music Department. Cher continues to hold that position at her church today. Cher Bond now records and produces albums. Some of Cher’s accomplishments are as follows; in 2002, she produced her first gospel album entitled, “Look What You’ve Done for Me.” In 2003, she produced a 2nd album for her church entitled, “It’s All About Jesus.” Again, in 2008, Cher produced a third album, entitled, “I Remember.” Last, but not least, in 2010, Cher produced and released a fourth album entitled, “I’m Going to Heaven.” In December, 2014 Cher produced a single entitled “God is Good” and in February 2015 she produced another single entitled “Our Love is Special.” Cher Bond’s music can be viewed by visiting sounds4thasoul.com. 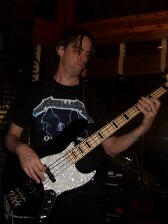 David has been teaching guitar and bass for over 20 years. 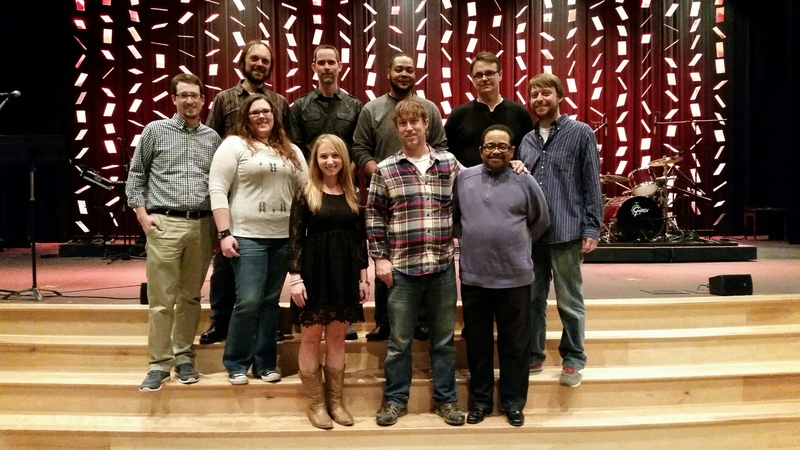 As a working musician David plays in the praise band at his church as well as various local bands. David has played in jazz, classical, rock and many other groups over the years and he can take care of any guitar or bass needs. Doug Marcis (guitar) has been studying and performing guitar for over years. Since 1995, Doug has been teaching guitar to hundreds of students in all age groups. During this time, Doug has developed fun and rewarding methods for learning guitar. Doug holds a B.A. from Lambuth University and has acted as adjunct faculty for Lambuth and Union University in the late '90's teaching contemporary and classical guitar. In 2001, Doug moved to Austin, TX, to experience the incredible music scene. While living in Austin, Doug taught at 'Northwest School of Music' and 'Don't Stop Rockin' World HQ.' helping many students rock and achieve their music goals. 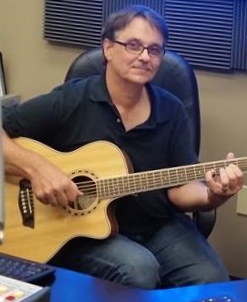 Living in a vibrant music scene, Doug has had the opportunity to play many styles of music and is ready to help teach any style you want to play (Rock,Country, Jazz, Soul, Classical, ect). In 2013, Doug moved back to his hometown of Jackson, TN to be closer to family and is excited about the opportunity to play and teach music for the community. 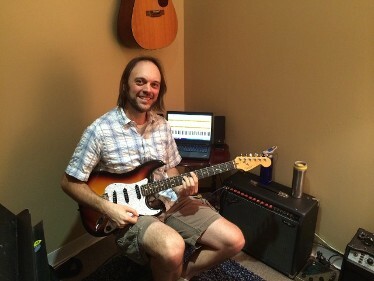 Since moving back, Doug has taught guitar at Jackson State Community College and The University of Memphis - Lambuth. Doug uses teaching methods that incorporate a solid foundation of music theory, sight-reading, performance, composing, and ear training skills. But most importantly, Doug makes sure you are having fun playing music. Comfortable with all ages, Doug will get you picking in no time! Joseph has been a touring musician for 26 years and teaching for 18 years. Kris is a native of Brownsville, Tennessee. He has been playing percussion for 20+ years. Kris has toured and recorded with numerous national touring acts including Denise LaSalle, Jimmy's Nature, Smooth Jazz Progression, DHP Mass Choir, & Joshua Singleton. 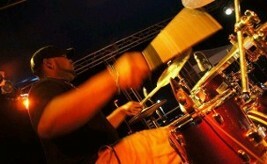 He has been the drummer at Light of Life Ministries in Jackson for many years too. Kris is the "go-to" guy when it comes to drums in any style of music. Robin has over thirty years teaching experience for many lesson programs and colleges across West Tennessee. 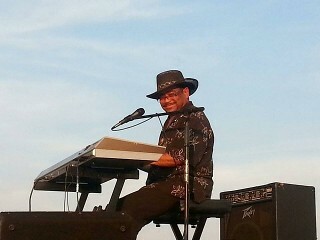 He has also been a working musician in cover bands playing all across the country for nearly 50 years. Robin can help anyone out from the beginner student to the seasoned player.